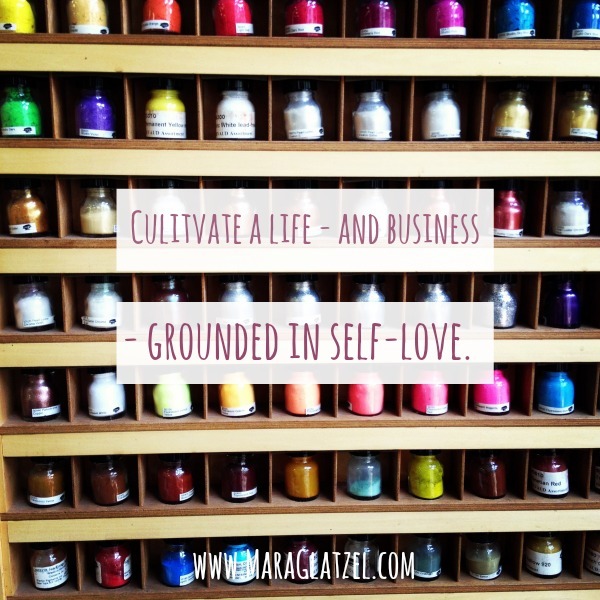 In the beginning, I built a business on a foundation of self-love, but, ultimately, building my business taught me what it really meant to stand by and take care of myself. In the beginning, I wrote (often) about the importance of loving yourself and of accepting yourself exactly as you were. I wrote about body image and the basics of self-care, embodying the difficulties that many women humans experience in taking sweet care of themselves. But, I was missing the pieces about self-trust and radical self-responsibility. I was missing the bit about being the expert to your own experience. I was missing the part about believing in your own decisions and standing behind your choices. Owning my own business taught me how to have my own back and how to trust in my ability to figure it out – no matter what “it” was. In a world where perfectionism reigns and we pray at the altar of busy, we often tell ourselves that there is no room for taking risks or for playing by our own rules. Often, this means: educate ourselves in the best practices, study the masters, and then… cut, paste, and repeat. Often, it means: we cannot simply allow ourselves to dream it and do it – it needs to be vetted and fixed and revamped. It needs to be perfect, polished. When I started my business, I took all the classes. I absorbed the words of every online business guru that I could get my hands on. I hired coaches, branding experts, and joined the masterminds. I learned about sales funnels and conversion metrics and branding. I was a sponge for business advice. I learned how it should be done. How successful people before me had done it. But, unconsciously, in my discomfort and fear, I was repeating the pattern that had showed up in every moment of self-doubt during my life: find someone who you think is smarter than you and pay them to teach you how to make it work, based on their proven model. This action was stunningly similar to when I didn’t know what to do with my body, so I researched every diet and scored the internet for success stories. Or when I wanted to be a writer, so, instead of writing, I filled a library with books that I told myself I had to read in order to get ready to start writing. Or all of the many moments when I told myself that I wasn’t ready. That I had to bide my time. That I had to earn my dues. That I needed to magically transform myself into something that I wasn’t, in order to be successful. I could have waited a lifetime and I would never have been ready to begin. I could have waited a lifetime and I would never have been free from the risk of imperfection. You are the live wire at the core of your life. You are a human being with ideas and desires and values. Anything that you do on this planet – in life and business – has to be firmly grounded in what lights you up and makes you tick. Don’t be afraid to be yourself. Don’t be afraid to usher more of yourself into every area of your life. 1) You will never be totally, 100% ready. There will always be fear. There will always be a nagging feeling of self-doubt. Instead of surveying your readiness, try surveying your desire instead. Ask yourself: is it worth the risk? Do I want it so badly that I don’t care if I fail? If the answer is yes, begin before you’re ready. 2) You are the expert to your own experience. No on is going to know you better than… you. You have to be the center of your business plan and your strategy in moving forward. You have to play to your strengths – and create a system that works for you. 3) You life – and business – only works if you do. Meaning, self-care is crucial, if only to make sure that you are able to bring the best version of yourself to your daily tasks. Self-care is the way that you replenish your reserves, the way that you show yourself love. Learn (or find someone to teach you) how to: make boundaries that feel really good, find space in your day for taking sweet care of yourself, remember that you deserve rest, and take time out for yourself – even when there are emails to answer. 4) You have great ideas – give them space to flourish. Allow yourself to be creative! At the beginning, many entrepreneurs are so busy chasing the buck that they tell themselves that they don’t have time/energy to tap into their creative streak. But, people will be hiring you and, thus, they want to know about you. Allow your communication and business identity to ooze with gorgeous you-ness. Underneath it all – you can trust yourself. Truly. Join a group of heart-centered entrepreneurs of all types in a six-week course on moving through anything that is energetically blocking you from shining brightly in your online world. Think of it as camp for your business. We are going to be talking about connecting with our right clients, mapping out new offerings that showcase your particular set of genius, and standing in our own personal power as we navigate the wild world of self-employment. 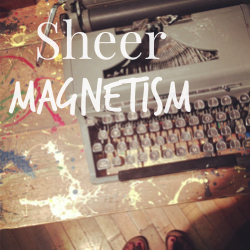 Sheer Magnetism is coming soon! To learn more about the next round of this course, skip on over here.